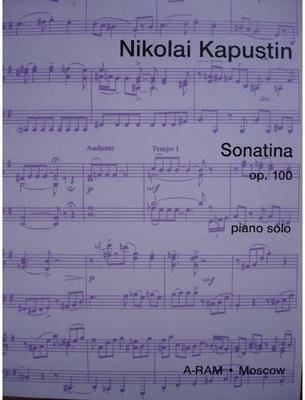 It is typical of Kapustin's modesty that he should celebrate the composition of his one-hundreth opus, in 2000, with a short, unassuming work that places relatively humble demands on the pianist. The single-movement Sonatina is a quirky, Haydnesque piece, laced with touches of humour (such as the Andante bar immediately following the development section that throws the recapitulation into the 'wrong' key) and pervaded throughout by a delightful insouciance. What do you want to know about Sonatina op. 100 by Nikolai Kapustin?